Here is some background on ResQ. ResQ Club is a marketplace for surplus food. Restaurants, cafeterias and grocery stores can reduce their food waste – and thus, their carbon ‘foodprint’ – by selling their surplus food to consumers at a 40-70% discount. For consumers, ResQ is an easy and sustainable way to discover and purchase affordable meals nearby their location. Consumers can discover and purchase meals either via iOS, Android and desktop application and collect those from a restaurant. Around 88 million tonnes of food is wasted annually in the EU alone. The associated costs of this waste is estimated at 143 Billion Euros. Furthermore, the agricultural process that is taking place just to produce surplus food comes at a huge burden to the environment. To us, this is a dramatic market failure. ResQ Club’s business is at the heart of digital food, a rapidly emerging global megatrend that has already created multibillion dollar companies from start up’s and that continues to change the urban lifestyle around the world. 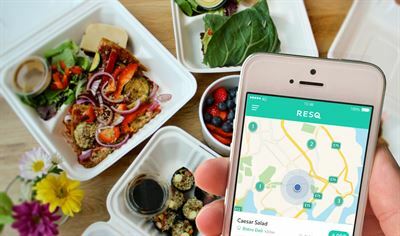 ResQ Club lets you find meals that otherwise would go to waste at heavily discounted prices, giving users the possibility to purchase inexpensive high-quality restaurant food, and at the same time get to know new restaurants. The company has shown solid and impressive growth month-on-month since its launch in January 2016. The potential market for rescuing perfectly good meals is greater than 20 BNEUR in Europe alone and similar in the US. With the competition focused on delivery rather than efficiency, we see a great future for ResQ. ResQ has over 200,000 registered users in Finland, Sweden, The Netherlands and Germany. ResQ was launched in February 2016, since then people have ‘resqued’ close to 500,000 meals and over 1900 restaurants have made offers via ResQ. Through a platform such as ResQ we can cut food waste in restaurants and food outlets. This saving comes at the end of the process; this means the food has been grown, transported and prepared to eat. A lot of work gone to waste. The ability to “ResQ” will have a drastic impact on the amount of natural resources needed to keep urban populations fed.